Google Earth - Upgrade to 5.1 and see significant speed improvement ~ Android Forever! "What does all of this mean to you? A faster, smoother experience when you're flying around the globe. 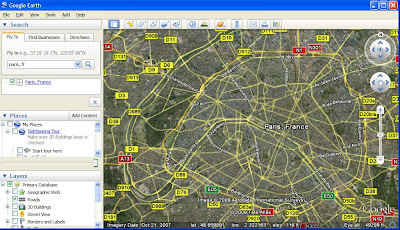 Download the latest version (Google Earth 5.1), head on over to Paris, and turn on the road layer without fear of slowing things down. Or turn on one of the Rumsey Map layers from our gallery and see the world as it was drawn by Cassini in 1790 without missing a beat."